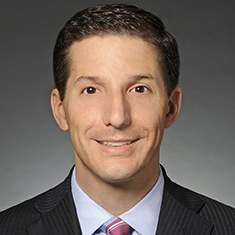 John Krol represents lenders and borrowers in connection with cash flow and asset-based credit facilities covering a variety of lending products, from secured and unsecured senior and mezzanine loans to debtor-in-possession financing and second lien financing. He counsels clients in all aspects of loan transactions, including structuring credit facilities, negotiating loan documents, handling intercreditor and subordination issues (including with respect to first lien/second lien and first out/last out structures), restructuring troubled credits, and enforcing rights and remedies. Among the clients John has represented in commercial loan transactions are Golub Capital, Antares Capital and Madison Capital Funding LLC.